Welcome to Liberty Elementary School. Our website provides important information and updates for parents and students, helps teach our students about applying technology for their success, and provides valuable resources for the entire Liberty Elementary School community. Please check our website regularly to view updated calendar of events, lunch menu, Wednesday Notes, important notices and teacher sites. If you would like to be notified when changes are made to a teacher's site or when the new Wednesday Note is sent please register on those pages to receive alerts to your email address. Website Accessibility Notice: The Liberty Elementary School District is committed to ensuring that its website is accessible to individuals with disabilities and that individuals with disabilities have equal opportunity to use and benefit from its online content and functionality . 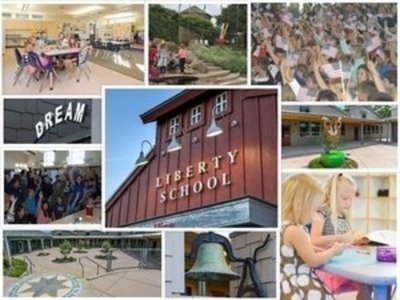 If you experience difficulty accessing any online content or functionality on the Liberty Elementary School District website, please contact webmaster at agrant@libertysd.org or the superintendent, Chris Rafanelli at crafanelli@libertysd.org or fax at 707 795-6468 or (707) 795-4380 to request the information in an alternative format, or to provide feedback on how the Liberty Elementary School District can improve its website accessibility.